Kryzewski worked on IU Coach Bob Knight's coaching staff during the 1974-75 season. Sophomore guard James Blackmon Jr. led the Hoosiers in scoring with a career-high 33 points. IU will play winless Alcorn State in Assembly Hall. IU's record drops to 4-2 after losses to Wake Forest and UNLV in Maui. IU Coach Tom Crean changed 60 percent of the starting lineup from Monday. Wake Forest ends game on 19-6 run. For the first time since 2008, No. 14 IU will appear in the Maui Invitational. The Hoosiers improved to 3-0 on the season. Robert Johnson is starting on the bench in 2015-16 despite starting 33 of 34 games last season. IU forced 23 turnovers against Austin Peay on Monday. 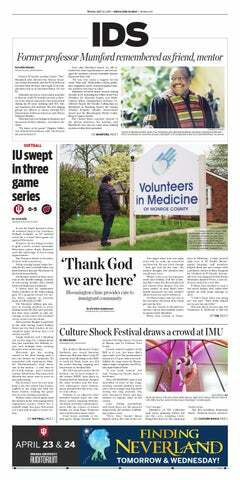 The Hoosiers play Austin Peay in Bloomington on Monday. The Hoosiers won their first regular season game of the 2015-16 season. IU finds flexibility in big and small starting lineup possibilities. Bellarmine is ranked as high as No. 3 in Division II polls. James Blackmon Jr. scored a team-high 15 points against Ottawa on Tuesday. The Hoosiers debuted at No. 15 nationally in the AP preseason poll. Aljami Durham is a 6-foot-4, left-handed guard. Troy Williams won both the three-point contest and the dunk contest Saturday night. IU Coach Tom Crean says team is "product of injuries". IU says its success this season comes down to one number.